图库照片: Italian food and menu concept. Italian food and menu concept. 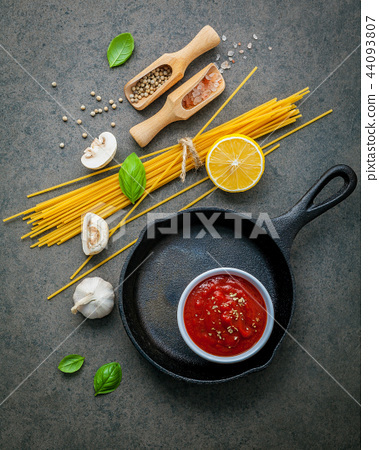 Spaghetti with ingredients sweet basil ,tomato ,garlic peppercorn and champignon on dark background flat lay and copy space.